Arthritis is defined as an inflammation of one or more joints in the body. This inflammation causes pain that can range from mild to severe. 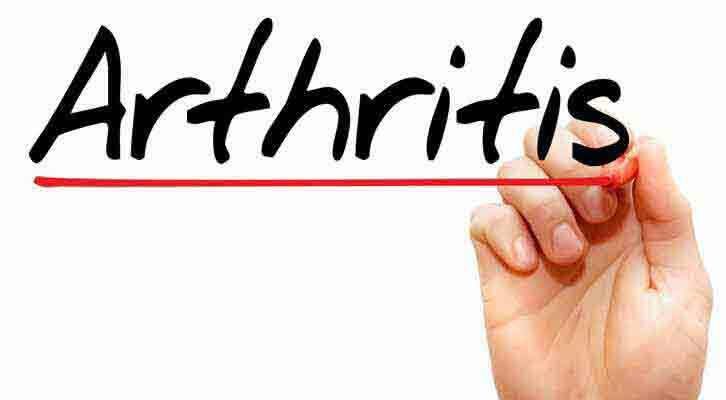 Arthritis has the ability to affect a person’s quality of life which is why it is necessary to manage this condition adequately. Throughout this article, you’re going to learn more about this prevalent but poorly understood problem. How common is arthritis? What are the most common types? How to reduce pain naturally? You’ll find all these answers below. Arthritis is more common in individuals with other chronic conditions such as heart disease (49%), diabetes (47%), and obesity (31%). Now that you know information about arthritis and different categories, it’s important to get informed about the most common types of arthritis affecting people in the US and worldwide. Symptoms occur in the same joints on both sides of the body e.g. knees, wrists etc. Fibromyalgia is characterized by a widespread musculoskeletal pain accompanied by sleep and memory issues, fatigue, mood changes. The disorder amplifies painful sensations by affecting the way your body processes pain signals. Like most other forms of arthritis, fibromyalgia is more prevalent among women. How To Manage Arthritis Naturally? If you experience joint pain, swelling, tenderness, and other symptoms you should see your doctor who will perform a physical exam and order some tests to make a diagnosis. Although arthritis can’t be eliminated entirely, there are numerous ways to manage your condition, reduce pain, and improve the overall quality of life. Besides following a treatment plan recommended by your doctor for the specific form of arthritis you have, there are many things you can do to manage arthritis naturally as well. Here are some examples. As seen above, being overweight or obese puts you at a higher risk of arthritis because excess pounds form a bigger pressure on your joints and, thereby, induce more pain. Doing your best to lose weight will take that pressure off, improve your flexibility, and reduce the severity of pain you experience. 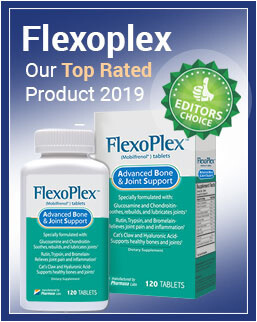 For instance, one study discovered that a reduction of body fat reduces the mechanical and biochemical stressors that contribute to joint degeneration. Although it may seem like arthritis and joint pain require no physical activity whatsoever, that’s not entirely correct. In fact, you should find a balance between rest and a regular physical activity. Sedentary lifestyle only contributes to joint stiffness, aggravates pain, and it is needless to mention it’s bad for your weight. On the other hand, regular exercise helps maintain the flexibility of joints. One research showed that exercise improves the functionality of joints without exacerbating disease activity and it is likely to reduce cardiovascular risk. Ideally, people with arthritis should do low-impact exercises, water aerobics is great as well as stretching exercises, and so on. Hot and cold therapy is, by far, the most well-known natural approach to managing arthritis which isn’t surprising because it is effective. Applying hot compresses relieves joint stiffness while ice packs and cold gels numb the pain. Most patients find that a combination of two, alternating heat and cold, works the best. Acupuncture involves inserting thin needles into specific points on your body. Besides stress relief, this practice also has numerous health benefits and arthritis pain relief is one of them. A research published in the Family Community Health found that acupuncture is an effective treatment measure for pain and physical dysfunction associated with knee OA. Yoga is well-known for different postures that you can use to do stretching exercises and get more physical activity without forming a large pressure on your joints. It is incredibly relaxing just like meditation. In fact, one study found that mindfulness program combining meditation and yoga helped RA patients relieve tenderness, stiffness, and pain. Mindfulness teaches you to focus on your breathing, postures you’re making, and banish negative thoughts from your mind. As a result, you don’t pay attention to the pain and find a way to cope with it better. As a result, mindfulness also has the potential to ameliorate both physical and psychological symptoms. Arthritis management also requires paying more attention to the nutrition. Unhealthy diet leads to weight gain and it is needless to mention some foods only promote inflammation. That is why it is essential to focus on a healthy diet involving, primarily, fruits and vegetables, Omega-3 fatty acids, herbs, and spices with anti-inflammatory properties. Reduce consumption of alcohol, trans fats, sweets, and other foods with little to no nutritional value. There are more than 100 types of arthritis and although this joint problem is prevalent, there’s still a lot we don’t know about it. It is crucial to see your doctor if you notice persistent joint pain in order to receive an accurate diagnosis and manage your condition successfully. It is possible to relieve and manage arthritis in a natural manner (as an addition to the treatment recommended by your doctor) with simple lifestyle modifications.